Commercially speaking, a website is a glorified resume for your company’s products or service. So, what are the basic things I have to learn about without spending a small fortune? How do I get on the first pages of major search engines? And what are some basic SEO Tips and Pointers to do this? As little as a few years ago, it was fairly easy to get top billing at Google, MSN (now Bing or Edge) or Yahoo. Nowadays that has change and one has to learn a few tips on SEOing and those tips change daily. It now takes sometimes six months or years to get a good listing at Google. Regardless of what some web marketers tell you, Google nor Yahoo do not guarantee you will get listed; the biggest problem of the web, it is still maturing, developing, and going through a awesome learning curve. Don’t think just because you have a web, its going to rock and roll, we learned that years ago with the dot comers. Reason is simple math, with over a million webpages are being published almost daily and Internet use doubles just about every two-three years – and with major companies hiring good SEOs to dominate web presents it becomes harder even for the little guy. The two other problems, webmasters and design firms fail to properly design their client’s webs to be Internet friendly and people’s egos refuse to change. A talented SEO/E and SMM will consider everything you have read and will optimize a site as any military general would do when planning a battle. If necessary, implement changes into the Webpage(s). A SEO’s will research one’s competition using the keywords and linking that are important to you. They evaluate what they are and are not doing. Assess what works and what does not work, along with their strengths and weaknesses. Finally, they will chart all this information and use that as a competitor’s edge for their client, provided an owner or webmaster allows changes, which is the #1 problem: People’s egos cannot fathom change and it is the reason why there are BILLIONs of Webpages drifting mercilessly in cyberspace. Fact remains: In 2000 online sales were around $1 billion. In 2002 they were $27 billion. In 2008 that figure reach &1 TRILLION; by 2015 the internet users will triple in size. The Internet is the first mulpi-trillion dollar business. eBay.com now does over $4800 sales a SECOND. The second major fact: Only 5% percent of all the websites do 95% of the business. I understand how difficult it can be to sit and wait, but it can take many months before achieving your desired results. Remember, your website is competing with 100 BILLION webpages. Over ONE MILLION webpages are being published on the Internet monthly, so competition is brutal and it can be most aggravating. Patience and correct optimization of the design will prevail! Content is King. Over-submitting websites is one of the worse things an SEO [and even owners and webmasters] can do, thinking they will be listed faster. Remember, when you over-submit, you run the risk of being banned from search engines. Optimization (when done correctly) will increase your odds of being listed faster and increase popularity to your web. In reality, all it takes is one good (or a few) inbound link(s) and your website will get spidered by search engines, so there is really no need to submit to any search engine. Content Development Should Be Your #1 Priority! You can have the coolest looking web, but it may be worthless if your content is not right. It is very important to have a synopsis of your site describing what you do on the Index (home) page. Nothing is worse than arriving on a Webpage and finding two or three sentences of garbage and not one keyword is used. Spend time and make sure your keywords are weaved in the content. Keep the index page at no less than 350-400 words. Everyday more and more search engines rate sites based on ‘keyword density’. This formula looks at the source codes and the content. Then a comparison is done with your META Keywords, the words in your TITLE, paragraph text, links to other pages, and even words in the ‘ALT’ text on your images. They will even look at different forms of your keywords. For example, if one of your prime keywords is ‘HUNT’ and the word ‘HUNTING’ is in the body of your Webpage this will help establish confidence in the word ‘HUNT’ with many of the search engines. As the knight said in the movie Indiana Jones, The Last Crusade, “Choose Wisely,” follow that sound advice when picking keywords. If not, your site may end up like the man who did not “Choose Wisely’ and turned into a piece of dust floating endlessly in cyberspace. 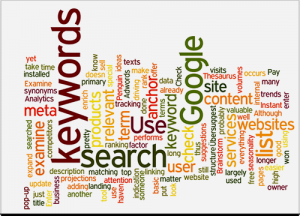 Make sure your keywords and phases match the content on each Webpage. Too many firebomb the Mega Tags with every word, in a hope that spiders will snag it. If one of the keywords is ‘hook,’ and you do not have ‘hook’ in your content, it is useless word and takes away from the ones that are used. Owners, webmasters and SEO’s mistakenly think the more times they repeat a word the better the results. When the same keyword is USED more than THREE TIMES, a spider will look at this as keyword spamming. Also, spiders do not have the time to review a 900-character keyword list. So, keep you keywords no longer than 250-300 characters and take note, spaces and commas count as characters. The fact remains, no Website can dominate all their keywords and phases, unless you have deep pockets and use paid marketing on each and every search engine, which is about a zillion. The second fact remains, picking and choosing keywords has now become a science that goes way beyond what one learns in school. Again “Choose Wisely’ and learn to think outside the box. Putting ‘Beach Hotel’ is worthless if you own a hotel on the beach, because everyone (about a million) that owns a Beach hotel will do the same. Think outside the box and stretch your imagination. For example, your chances of greater success would be to place, ‘Off the path Beach Hotel,’ if your hotel is unique and ‘somewhat’ secluded. Instead of ‘Off the beaten path Beach Hotel’ which would catch you thinking inside the box like everyone else. Remember as the Internet grows, so does the demand. The Echo Generation (which are the #1 users and spenders of the Internet) will detail their keywords and phases as much as possible to get to where they want without hassling with the bull. I cannot emphasize enough the importance of links, both FROM your page to OTHER pages, and from other pages to yours. And those links WITHIN your pages, which is how your subpage of mycoolsite.com/personal.com will get listed faster than your index, mycoolsite.com. Check out Google, 90 percent of the #1s, a subpage is listed. First, always pay special attention to the links that direct your pages from the nav bar. When many search engines see links, they consider your site more ‘genuine.’ It also gives the search engine spiders a place to go. Make your links meaningful. Make sure they relate to what you do (and keywords that are important to you). You cannot have too many links on your pages. More and more search engines place a very heavy rating on those Webpages that have links to your website. Think about it for a second. If you knew a company was only linked to one website, versus a company that was linked to a thousand websites, which one would you consider more important? If you were a search engine, you would surely try to spider the most important ones first. This is where patience will prevail. It can take some time (as much as months) to get a ton of links to your website. The more links a site has, the more times a spider will index your site and in visa-versa reciprocating links. It is important to know that 75 percent of surfers will click on a link. Linking, adds to your exposure. Frames were and still are the cheapest way to construct a web and rarely will you see a Frame page snagging the #1 spot or in the top 20. Don’t let any webmaster or SEO tell you that they are Internet friendly and if one does, get a new Webmaster or SEO, ASAP. Most search engines simply cannot index a frame page or when they do, they usually see only half a page (the frame page). After all the money and time spent, suddenly your page with just your heading and nav bar sits on the #1 spot. As you sit looking at a half page, contemplating the fact the whole World knows your Webpage has become nothing but an embarrassment and totally worthless. Think of frames like a big ‘NO TRESPASSING’ sign to search spiders. Frames are only good if you want to add a disclaimer to cut space or a long hype on how the universe is nothing but a speck of dust underneath your fingernail! I know of very few #1 listings that have a Flash Index unless you are a celebrity or have just discovered the cure for cancer or have a unique domain. Any webmaster that tells you, “Technology allows search engines to read Flash,” and “My Webmaster has a degree in computer science and knows what he or she is doing,” is full of it. Not in this day or time. Only use Flash as an overview of content and a way to reduce file sizes, which is a must when you have a lot of graphics or some cool text. If you use keywords and Index in Flash and think it will give you an edge, go to the store and buy those magical beans. This is probably the biggest trap people fall into. Many SEO’s (and webmasters) THINK they have come up with ways to ‘fool’ search engines. They work for a little while, but SOONER OR LATER, search spiders will catch on and penalize sites that use this practice. The spider is the most sophisticated and advance technology creature known in cyberspace. Examples of this include, but are not limited to, repeating keywords over and over (keyword spamming) or using invisible text (Phantom Placing: white text on white background) to jam the keywords in a small area. If caught Phantom Placing in Google, your site will be banned. Keep your site clean and professionally design. We have all seen pages that are almost all graphics and many are quite awesome. A Flash site is notorious for this and your chances to get in the top 20 are close to zero as I just explained. 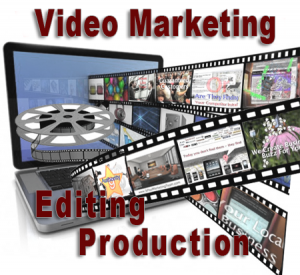 Graphics should help display your content in the most eye-pleasing way. Remember, search spiders don’t have eyes and don’t care how awesome your graphics are. The Internet is built on speed, and if a page takes to long to load (more than 5 seconds) then it is off to the next website. If you have cool graphics, this would be the perfect time to use Flash if it supports your content. (e.g. a photographer, realtor or graphic designer would want to display what they have to offer and their talent). 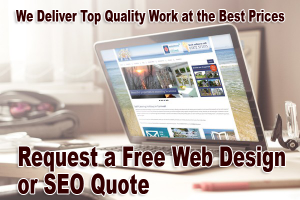 In the old days all a SEO’s job was to submit your site to a few search engines and charge a few bucks. Within a few weeks, just about every site submitted was listed. Not anymore. The SEO’s job has now become a science of strategy and everyday more web owners are seeing the value of a good SEO. One of the things people fail to do is put keywords on each page. So lets say, you have a couple of new products and a dedicated page is set to each product. 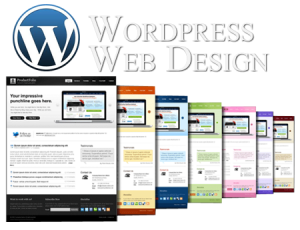 A well-designed web site will be interfaced with keywords on that individual page. Remember, content is the key to a sucessful web and every page can become an entry point to a surfer. You may find yourself screaming at your webmaster to make massive changes. Another mistake people make is having cool flash logos before their site loads. Bad mistake, search spiders can’t read Flash or Frames, so they bypass your page.